A stock is not just a ticker symbol (ie, a price), it is an ownership interest in an actual business, with an underlying value that does not depend on its share price. The market is a pendulum that forever swings between unsustainable optimism (which makes stocks too expensive) and unjustifiable pessimism (which makes them too cheap). The intelligent investor is a realist who sells to optimists and buys from pessimists. If you're still not convinced about this, you might like to read Wealth Secrets; otherwise, read on to learn how ShareMagic™ makes the information you need to discover underlying value accessible and efficient. Why should you take a good look at ShareMagic™? Let us explain how ShareMagic™ turns data and information into results. To understand ShareMagic™, you need to understand the world of stock data. Before we tell you how ShareMagic™ solves these problems, we need to look in more detail at the information you need to get investment results. Sometimes referred to as time-series data – because it is used to draw graphs – this is the information you see all over the place: the latest share price of Anglo American or MTN, the price trend of Vodacom or Nedbank, and so on. When a script writer is preparing text for the business news, he (or she) looks at the price data and writes something like, 'Anglo American was up R2.50 today in spite of poor demand for resource stocks, while Billiton fell R3.00.' This is only interesting if you know exactly what these shares were trading at yesterday; even so, it's not particularly helpful when it comes to making decisions. Stock exchanges pump out price data, making it the basic ingredient for share trading programs. But this data is not very useful in its raw form, hence the proliferation of charting packages (also know as 'technical analysis' packages) available to investors – these try to turn price data into useful information. 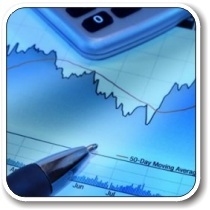 Put into graphical format with the addition of some statistical analysis, price data can be very useful indeed. But is it enough? We love price data – we couldn't live without it – but this is the important question that all traders and investors have to grapple with: is it enough? is this really a good business? how much money do they actually make? will their profits keep growing? are they facing any strong headwinds? is the share cheap or expensive at the moment? Now the first important lesson is that price and value are not the same thing. If one share costs R5 and another costs R200 that doesn't make the first one cheap. In the stock market, price and value are completely unconnected. The second lesson is that where the price has been in the past doesn't necessarily tell you anything about the current value. If a share traded at R100 last year and it's now trading at R50, that doesn't necessarily mean it's cheap – it might even be more expensive that it was a year ago! It all depends on what's happening in the underlying business. The term 'fundamentals' really covers two categories of information – business facts and financials. Business facts include what the company does, where it operates from, who runs the organisation, who it competes with, and how many people it employs. Financials tell us, amongst other things, how much money the company makes (sales and profit), how much tax it pays, how much it owes to creditors, and how much it gives to shareholders by way of dividends. Those investors – like professional fund managers – who look at annual reports regularly invariably capture the key numbers into an Excel spreadsheet or a database – it's the only way to analyse trends and patterns. They usually create summaries of the business facts as well – after all, you don't want to have to go back to the annual report every time you look at a share. When you invest in a company you want to know when they're in the news. Sounds easy enough – just read the business pages of your morning paper every day. But how do you keep track of what's happening to dozens – or hundreds – of listed companies? How do you monitor the impact of breaking news on each company, or ensure that you follow each step of an evolving story? News summaries organised by category or entity is the obvious answer – and there are many websites and services that do this. But how much more convenient to have everything – even the news you need – in one place? ShareMagic™ doesn't just give you breaking news, it also files news and official notices by company, allowing you to drill down to what's important when you're considering a particular stock. And all these are probably in addition to an online trading account! ShareMagic™ doesn't just seek to pull all this information into one place, it strives to integrate everything in ways that are intuitive and useful. But does one really need all this information? We hear you ask. Isn't there a simpler way? Unfortunately, the answer is no. When it comes to investing, ignorance is not bliss. You may hear 'charting purists' argue that all you need is price – that everything that is known about a share is already 'discounted' in the price – but seasoned investors soon discover that this is just not true. Share prices often react to results releases – going up on good profits or falling on disappointing results – something that would not happen if the collective market wisdom was always fully discounted in the share price. In reality, stocks are frequently overvalued or undervalued by 'the market' – this is precisely where the greatest opportunities are to be found. To discover growth and value opportunities, you need the fundamentals. What you will discover with ShareMagic™ is that having all the information you need in one place – properly organised and fully integrated – makes it easy to deal with the overabundance of data that you need to make astute investment decisions. Successful investing is all about access to the right information and the ability to interpret information efficiently. That's the beauty of ShareMagic™ – it brings everything you need into a single interface and makes the information easy to decipher. The only question really is – can you afford to be without it? Haven't you waited long enough to get the right tools? Take the bull by the horns and give yourself the ShareMagic™ advantage. Call +27 11 728-5510 (toll free) today to sign up for ShareMagic™ or to arrange a no-obligation demo. PPS If you're still wondering whether you can really make money from investing in stocks, watch our online video Three Surefire Ways To Make A Million. Even if you don't have any capital to start with and only earn a modest salary, the right investment choices can make you wealthy.